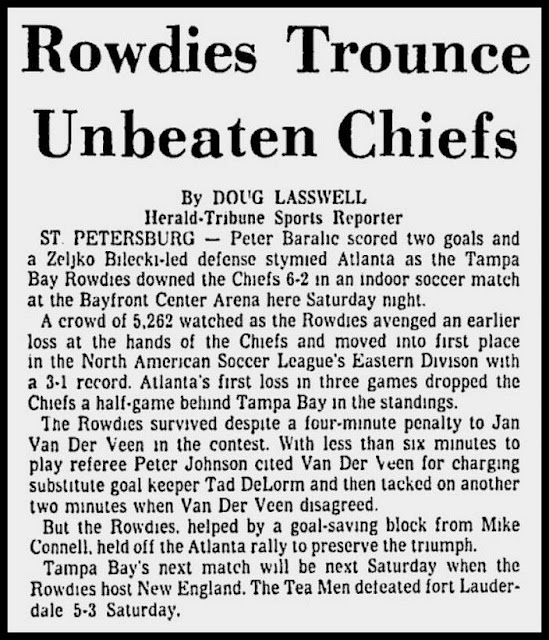 A newspaper clipping from the Rowdies 1979-80 indoor game against the Atlanta Chiefs played on December 15th, 1979, at the Bayfront Center. Arsene Auguste tackles a Canton Invaders' player. 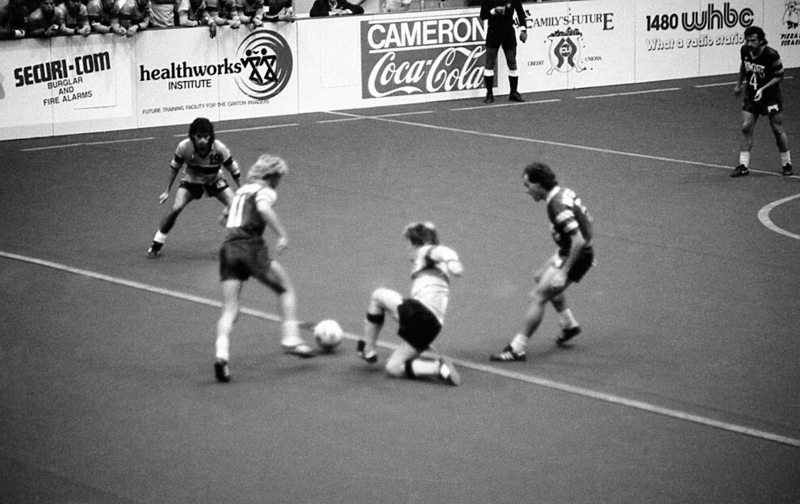 During the 1986-87 AISA season, at the Canton Memorial Civic Center. Many thanks to Rod Walent for this photo. 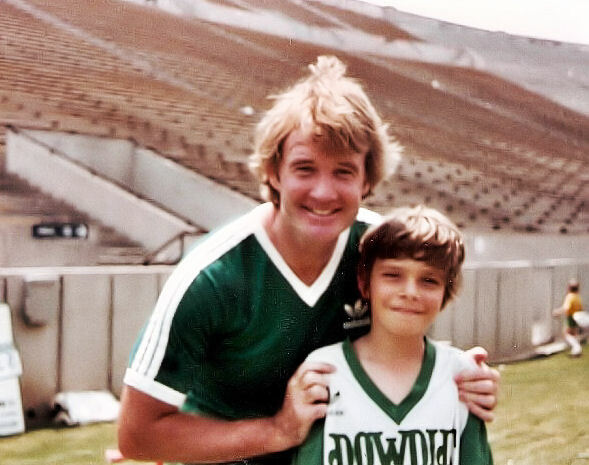 Rodney Marsh poses with a fan at Tampa Stadium. Tampa Stadium's Press Box under construction in 1967. 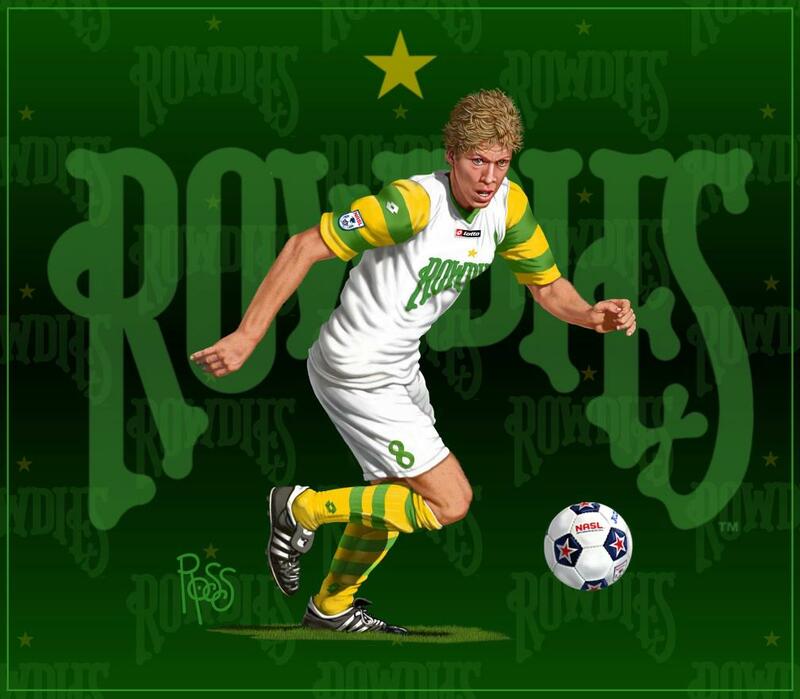 2012 Rowdies artwork by artist Scott Ross, with a likeness of Luke Mulholland. Many thank to Scott for this photo. A newspaper clipping from the Rowdies 1979-80 indoor game against the Detroit Express played on December 7th, 1979, at the Bayfront Center. 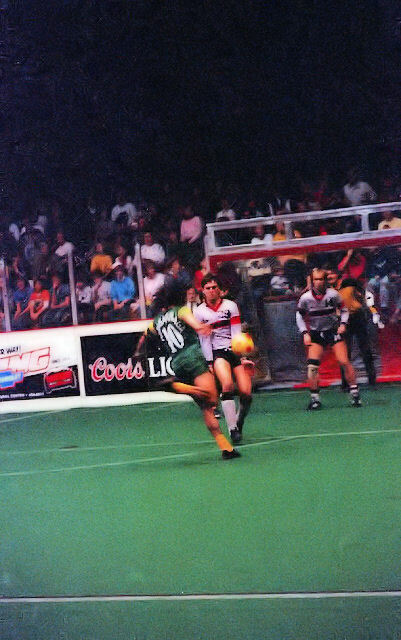 Ruben Astigarraga winds up to shoot against the Canton Invaders. 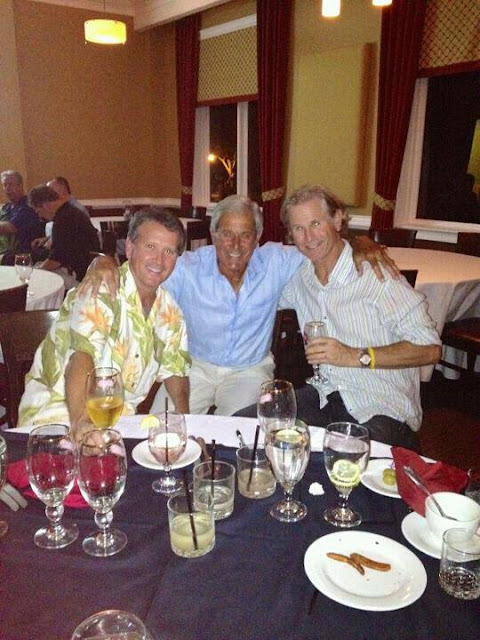 Wes McLeod, Kevin Keelan and Winston DuBose at a recent get together. 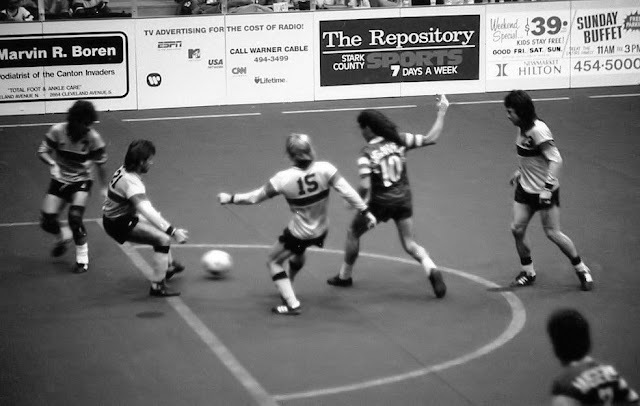 Many thanks to Nancy Bataille for this photo. 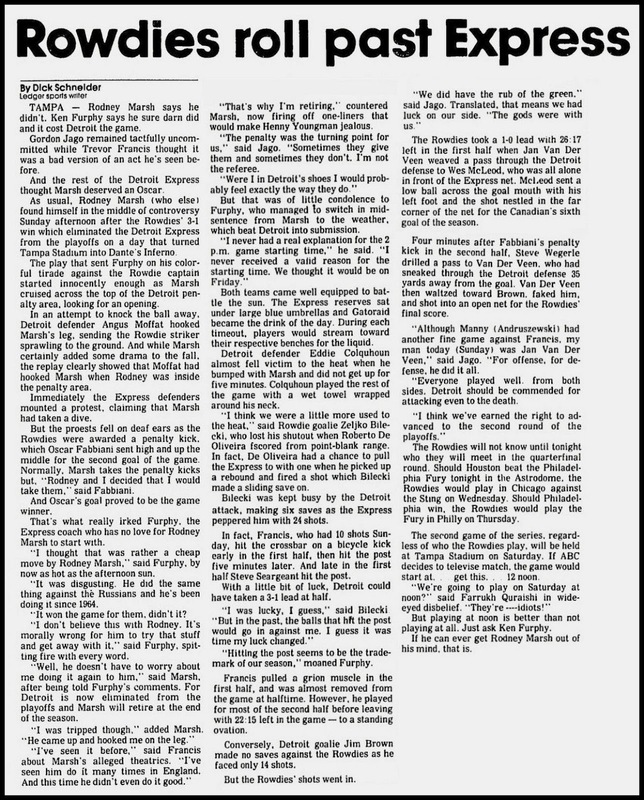 A newspaper clipping from the Rowdies 1979-80 indoor game against the Atlanta Chiefs played on December 3rd, 1979, at the Atlanta Omni. 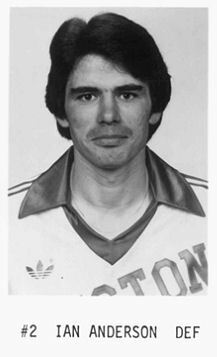 Ian Anderson's mugshot whilst with the Houston Hurricane in 1979. 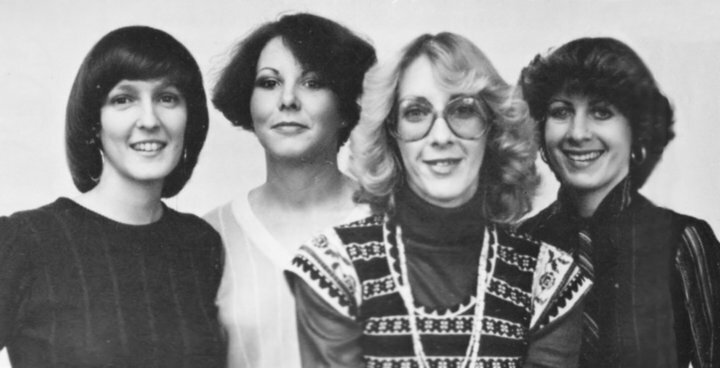 Rowdies Secretaries from 1978, from left to right: Kim Hansen, Jeanne' Cox, Shaila McAdow and Golda Glenz. Ray Hudson against the Orlando Lions, at Tampa Stadium in 1990. 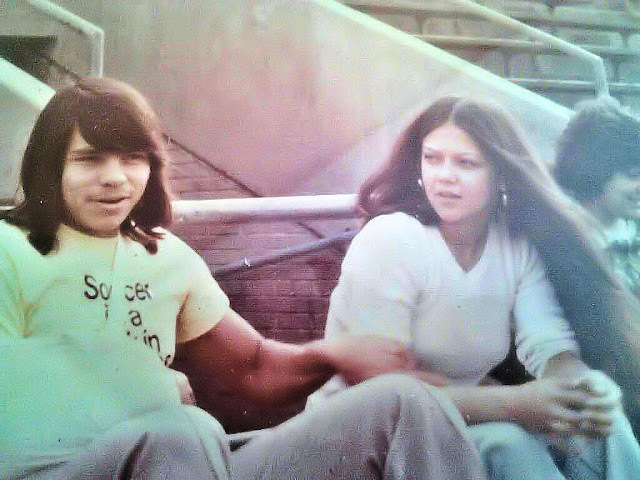 Ringo and Debra Cantillo at Tampa Stadium circa 1975. Many thanks to Debra for this photo. 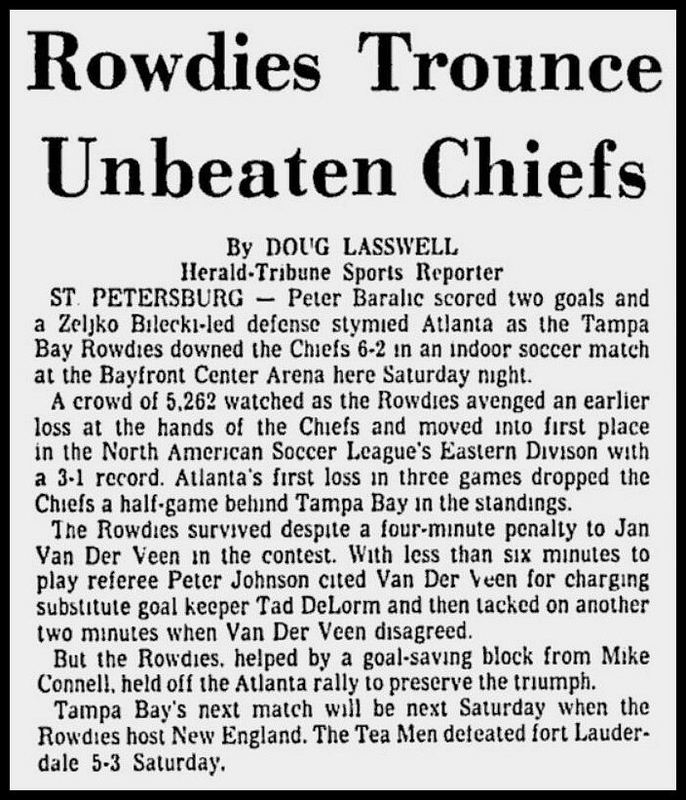 A newspaper clipping from the Rowdies 1979-80 indoor season opening game against the Ft. Lauderdale Strikers played on November 27th, 1979, at the Bayfront Center. 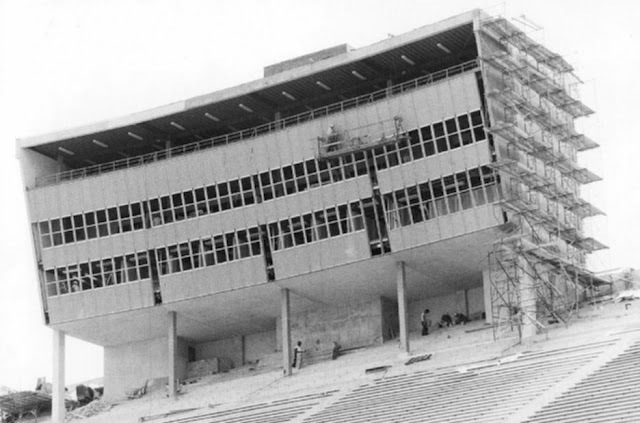 July 11th, 1979. 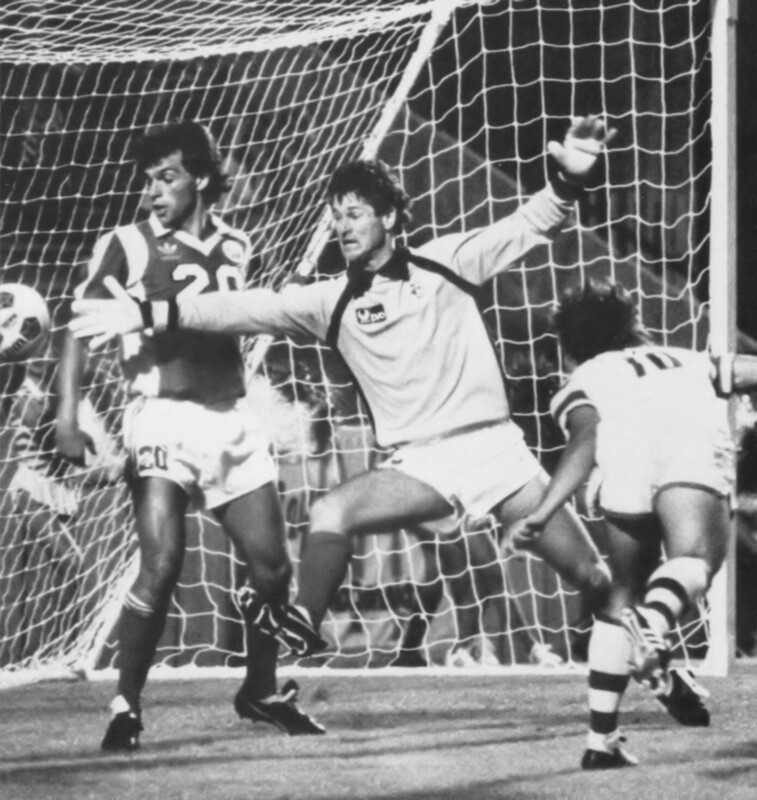 Today's opponents were the California Surf, an attendance of 20,612 saw the Rowdies win 6-2, with the goals scored by Rodney Marsh and Oscar Fabbiani (5). 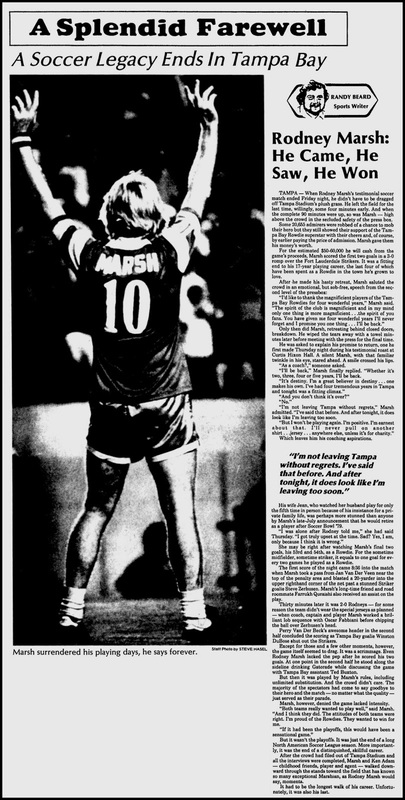 The team this day was: DuBose, Andruszewski, Connell, Kitchener, Gorman, Van Der Veen, Wegerle, McLeod, Fabbiani, Marsh, Grnja. 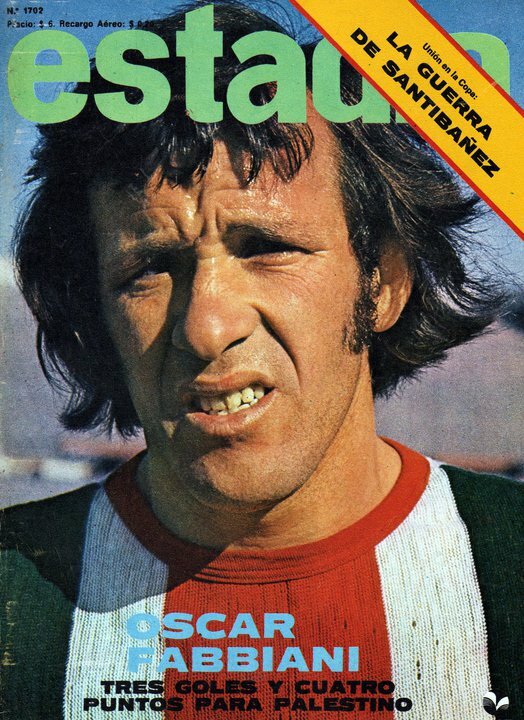 Oscar Fabbiani on the front cover of the March 23rd, 1976 edition of Chilean soccer magazine 'Estadio", showing Oscar in the Palestino jersey. 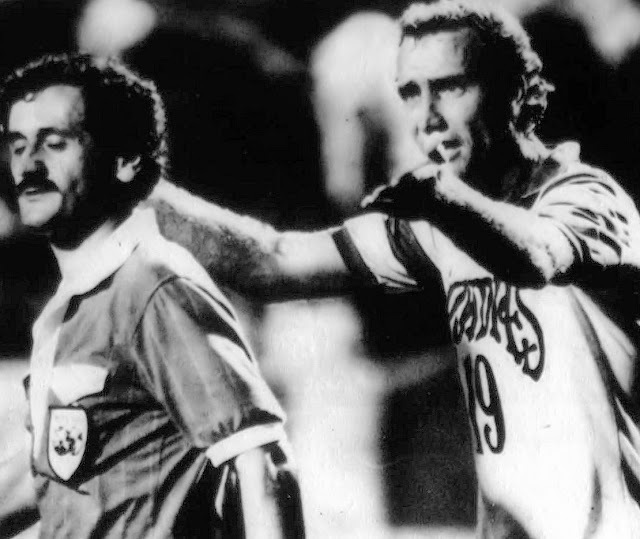 Neill Roberts complains at the Referee, during a game in 1984. 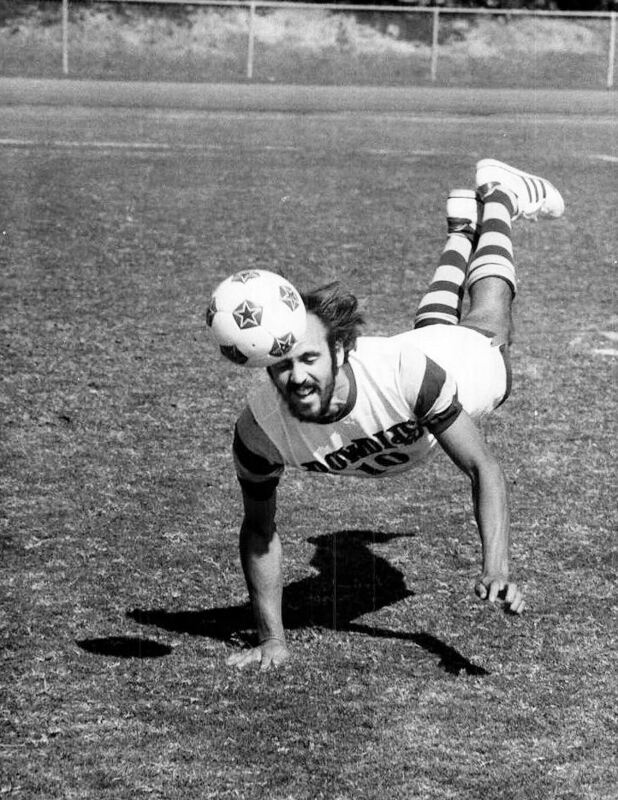 Eddie Engerth makes a diving header, during a photo call in 1975. 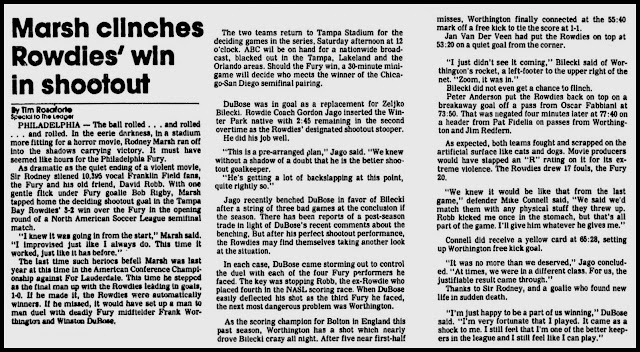 A newspaper clipping from the Rodney Marsh Testimonial Game against the Ft. Lauderdale Strikers played on September 14th, 1979, at Tampa Stadium. 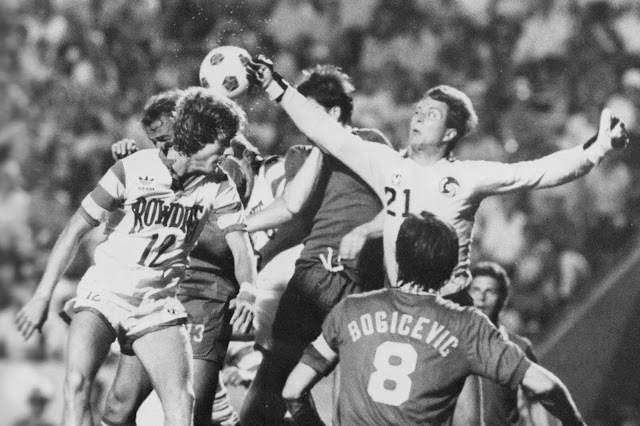 Perry Van Der Beck is outnumbered by Cosmos players, during the game in 1984 at Tampa Stadium. 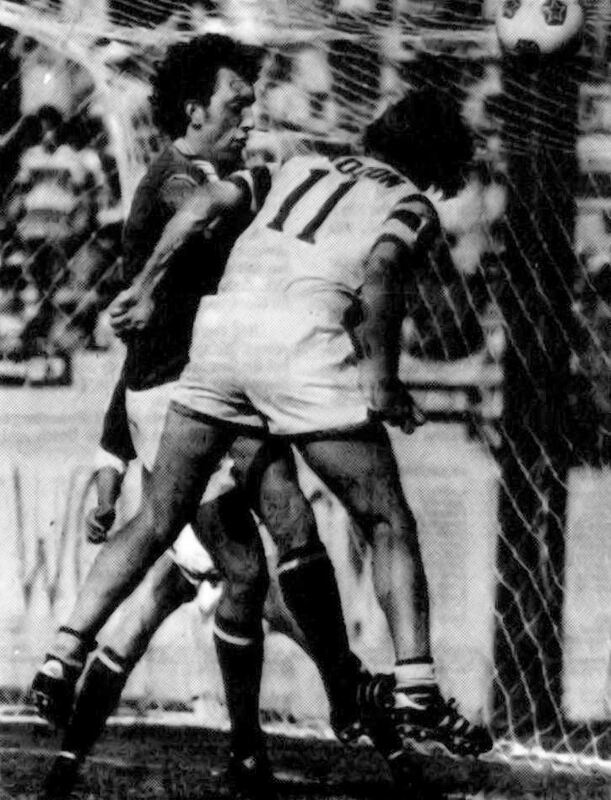 Graham Paddon beats Manchester United's Stewart Houston to the ball, in their Exhibition Game in 1978. Tatu heads past Tulsa Roughnecks' goalkeeper and former Rowdie Winston DuBose in 1983. A newspaper clipping from the Soccer Bowl '79 game against the Vancouver Whitecaps played on September 8th, 1979, at Giants Stadium. 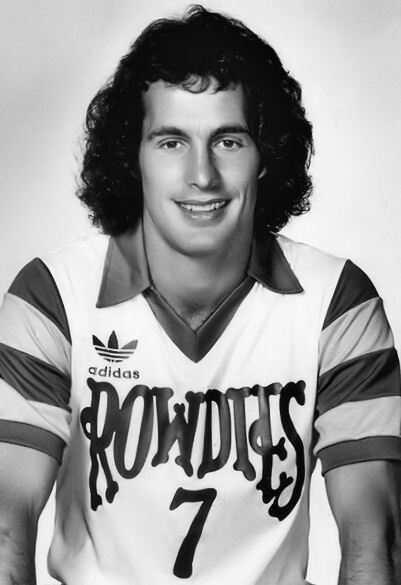 Steve Wegerle's mugshot from 1980. 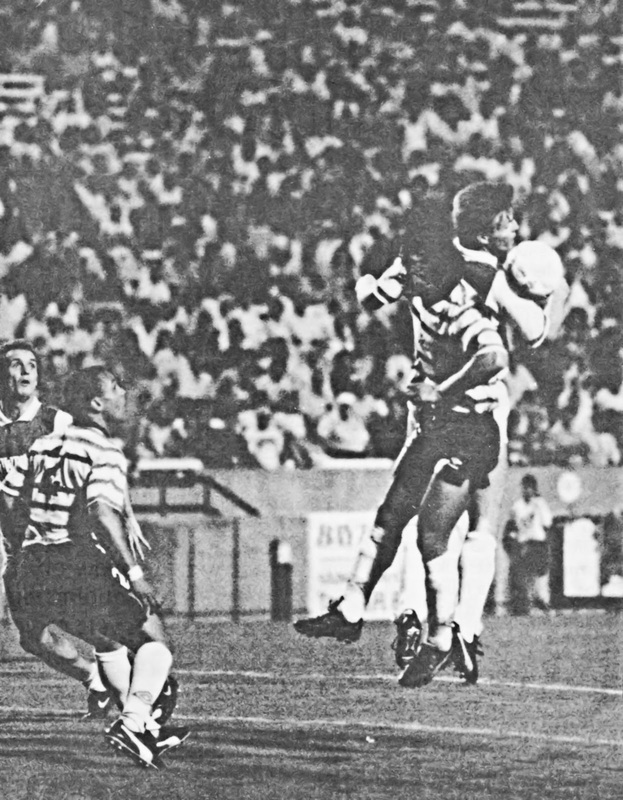 Raymond Perlee in action against the Maryland Bays, watched by Martin Hill, at Tampa Stadium in 1990. 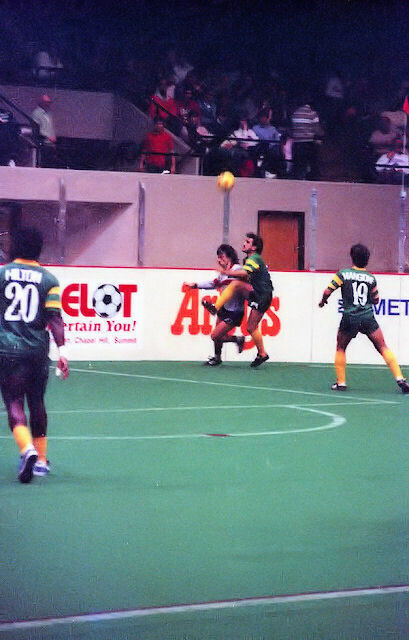 Solly Hilton and Nick Mangione watch as Dave Power battles with a Canton Invaders' player. 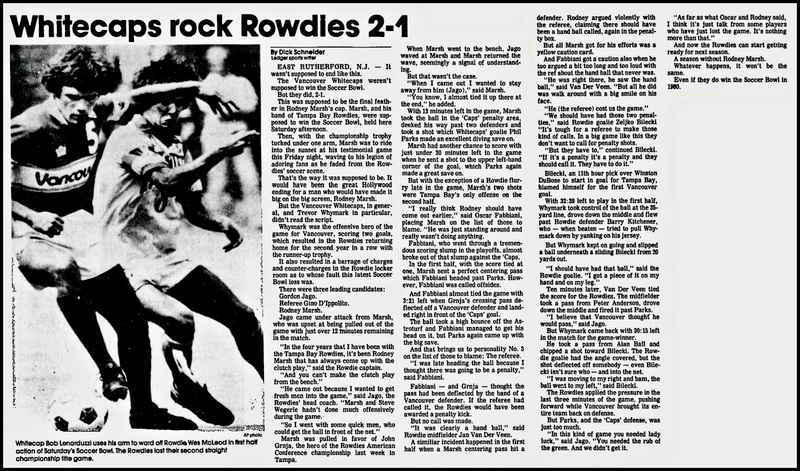 A newspaper clipping from the Rowdies Playoff game against the San Diego Sockers played on September 2nd, 1979, at Tampa Stadium. The Rowdies won 3-2, to tie the Playoff games at 1-1. 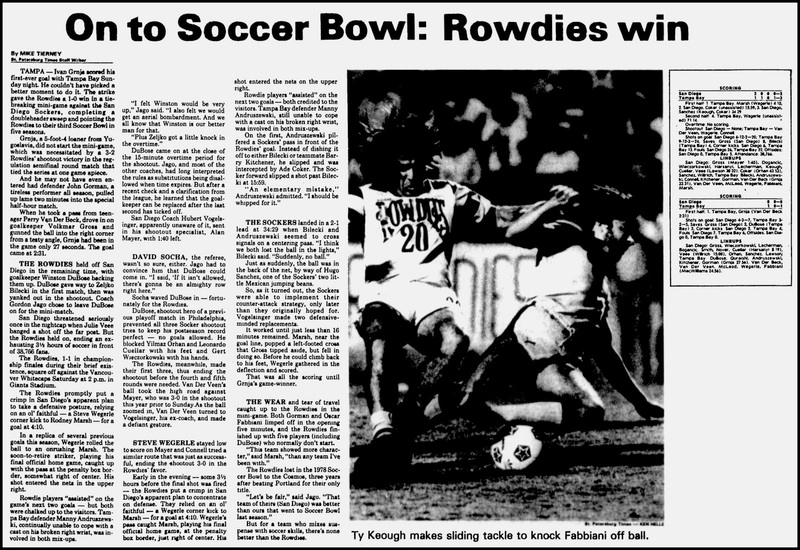 The Rowdies then won the mini-game 1-0, to progress to Soccer Bowl '79. A signed 8x10 of 1975 Captain John Boyle, whilst at Chelsea. A photo taken from behind the plexiglass screen, of Michael Fall being challenged by Canton Invaders' Mike Paxos. 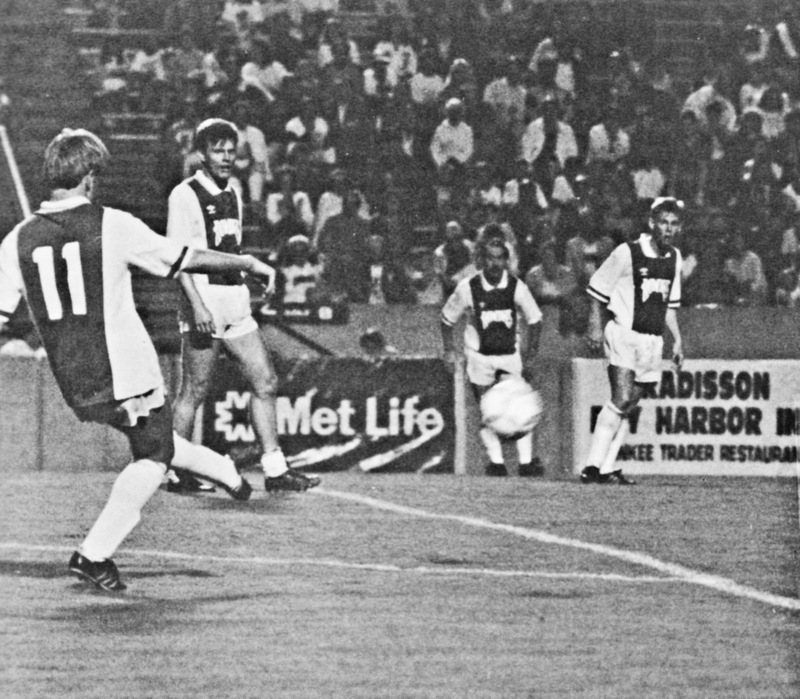 Jan Van Der Veen scoring Sparta Rotherdam's fourth goal against FC Utrecht, during Sparta's 5-1 win, played on February 4th, 1973. 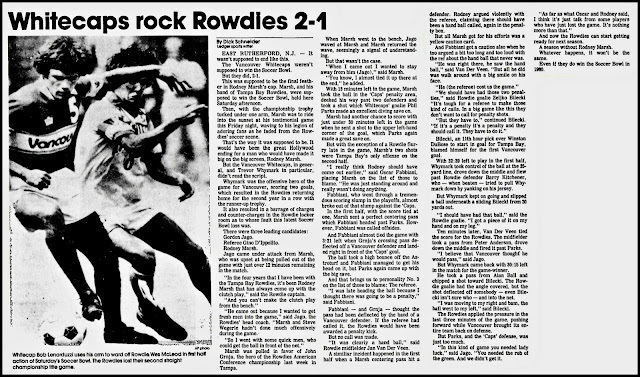 A newspaper clipping from the Rowdies Playoff game against the San Diego Sockers played on August 30th, 1979, at San Diego Stadium. A signed photo of 1975 indoor Rowdie Antônio Lima dos Santos. 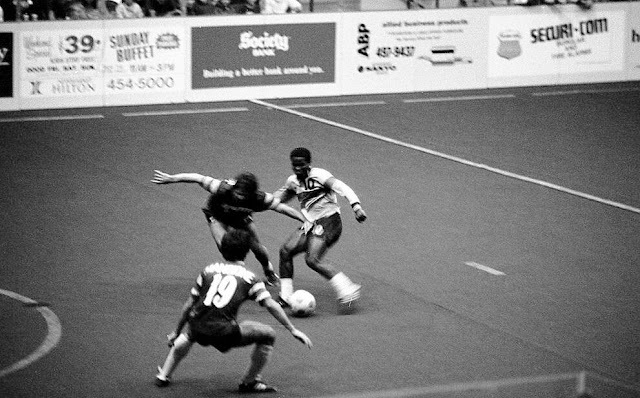 Ruben Astigarraga challenges Canton Invaders' Oscar Pisano, during the 1986-87 AISA season, at the Canton Memorial Civic Center. 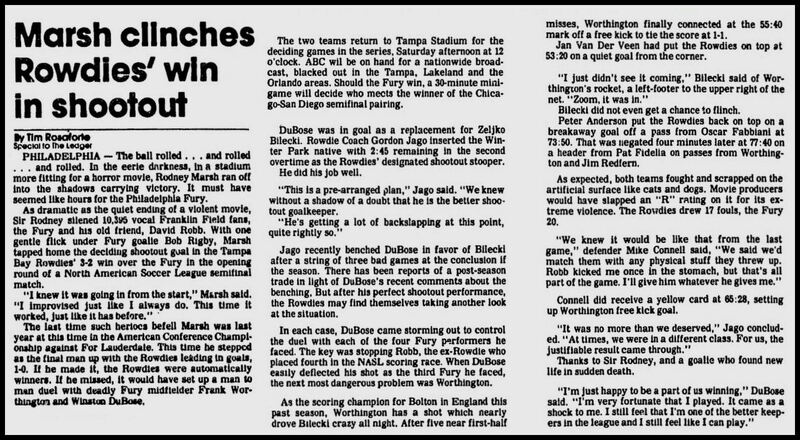 A newspaper clipping from the Rowdies Playoff game against the Philadelphia Fury played on August 25th, 1979, at Tampa Stadium. 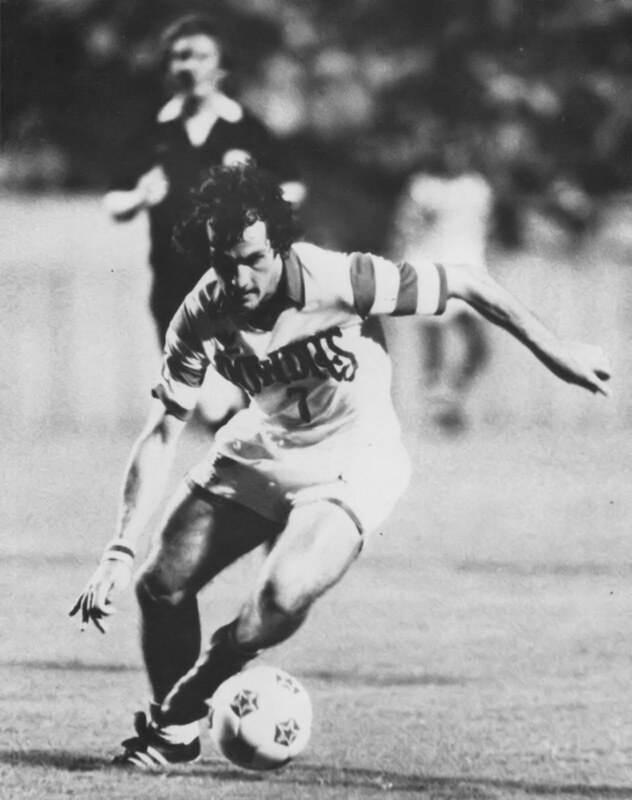 Mike Connell, at Tampa Stadium in 1980. 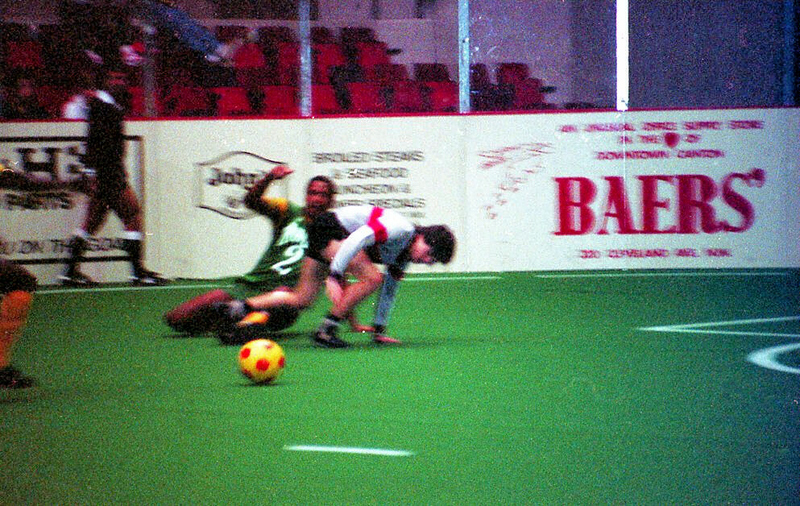 Nick Mangione watches as an unidentified Rowdies player tries to stop Canton Invaders' Gerald Celestin. 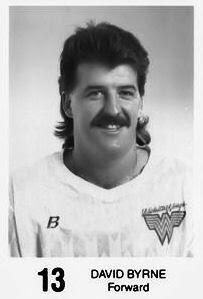 David Byrne's mugshot whilst with the MISL side Wichita Wings, in 1990-91. 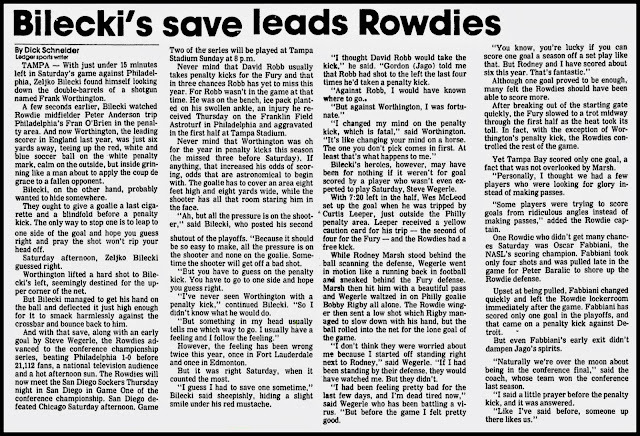 A newspaper clipping from the Rowdies Playoff game against the Philadelphia Fury played on August 23rd, 1979, at Veterans Stadium. 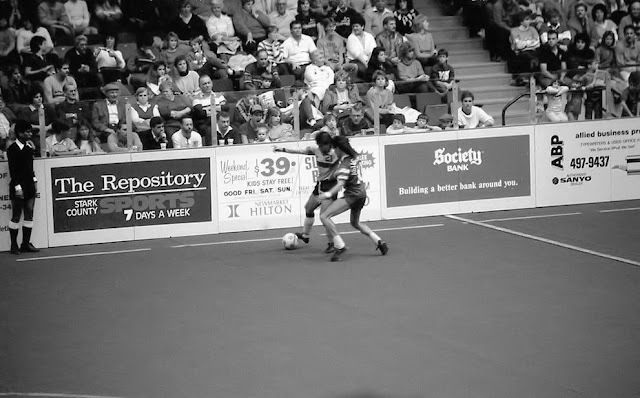 Solly HIlton watches as David Power tries to block Canton Invaders' Gerald Celestin's shot. Refik Kozic wins a header, at Tampa Stadium in 1980. Many thanks to Andy Northern for this photo. Jan Van Der Veen is carried from the field, injured. 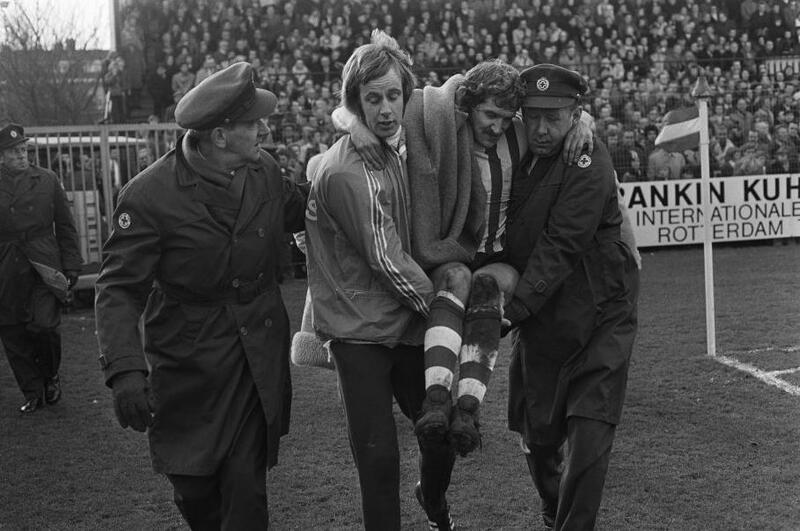 During the Sparta Rotherdam vs. MVV game, played on February 11th, 1973. 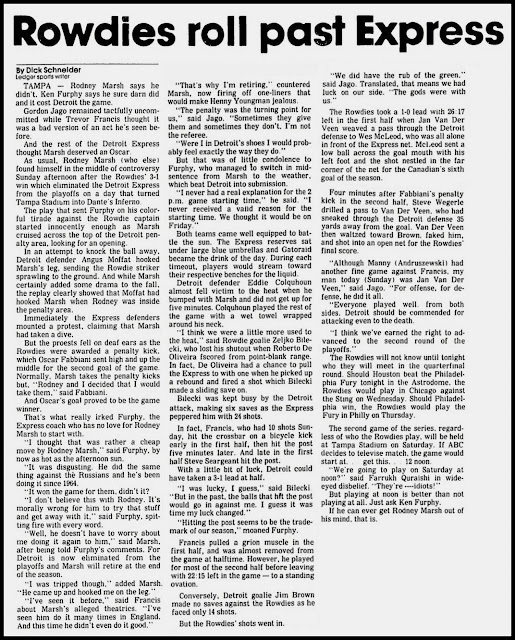 Many thanks to David Hoebarth. 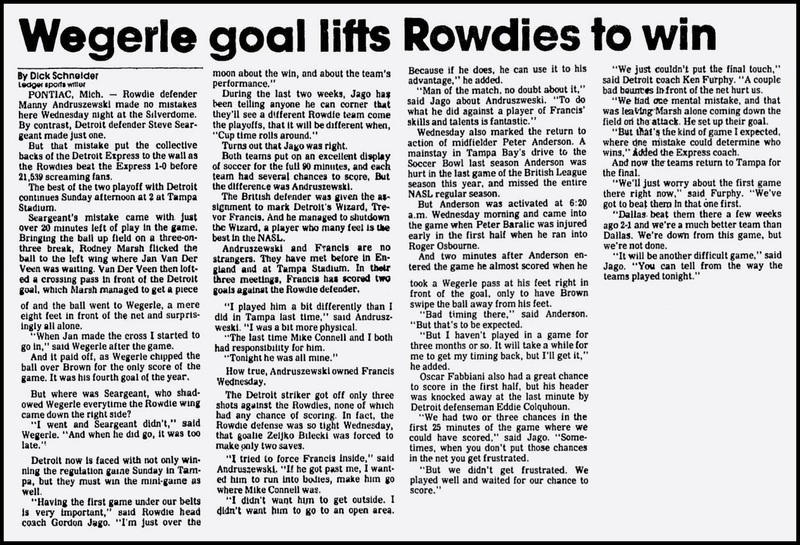 A newspaper clipping from the Rowdies Playoff game against the Detroit Express played on August 19th, 1979, at Tampa Stadium. 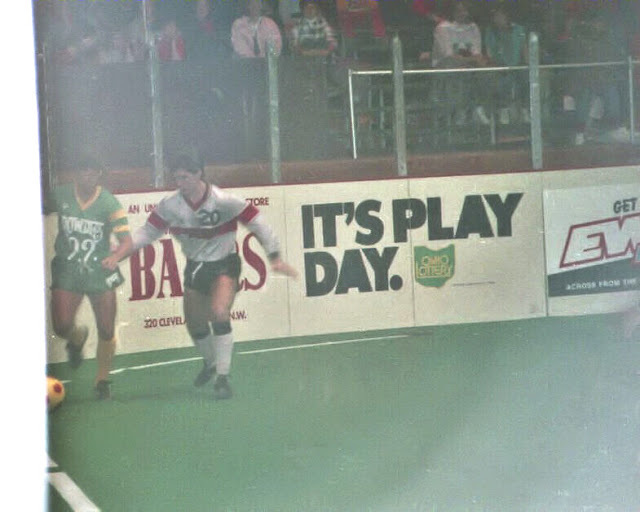 Duncan MacEwan drives forward watched by Steve Wegerle and David Power, during the 1986-87 AISA season, at the Canton Memorial Civic Center. 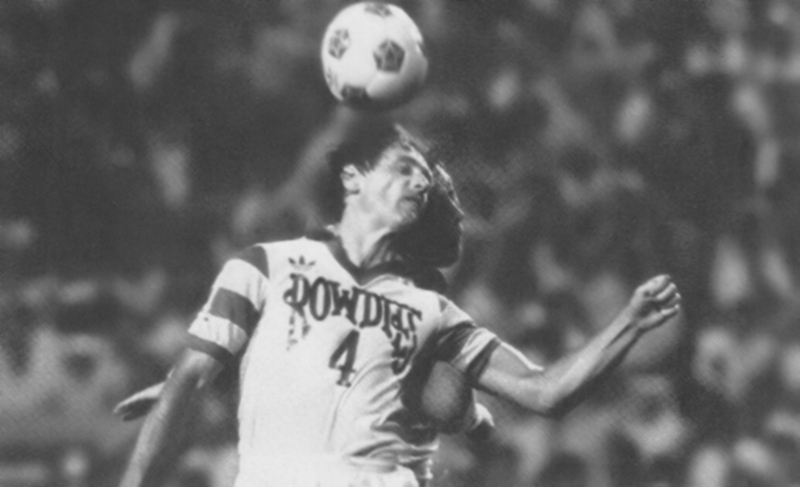 A Rowdies' Camp Kikinthagrass jersey from 1989, sponsored by Sports Unlimited, produced by Nike. Peter Barnes takes a free-kick, against the Washington Stars at Tampa Stadium in 1990. 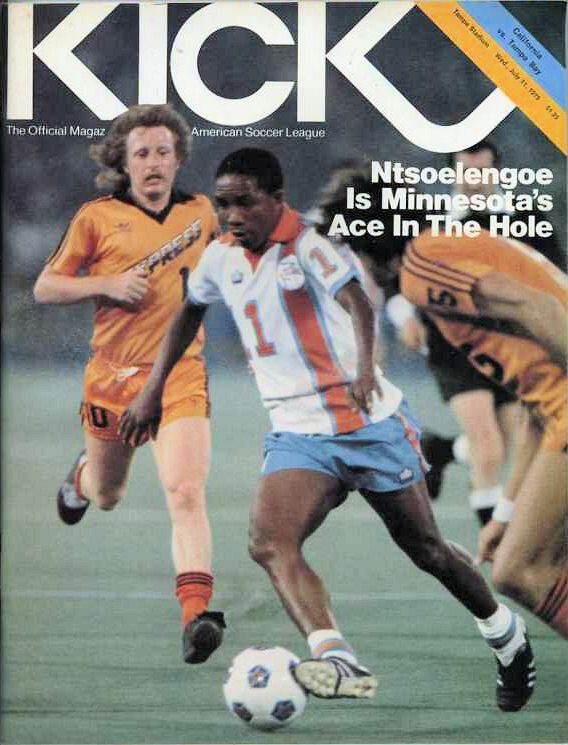 With Ray Perlee, Ken Fogarty and Michael Bates. 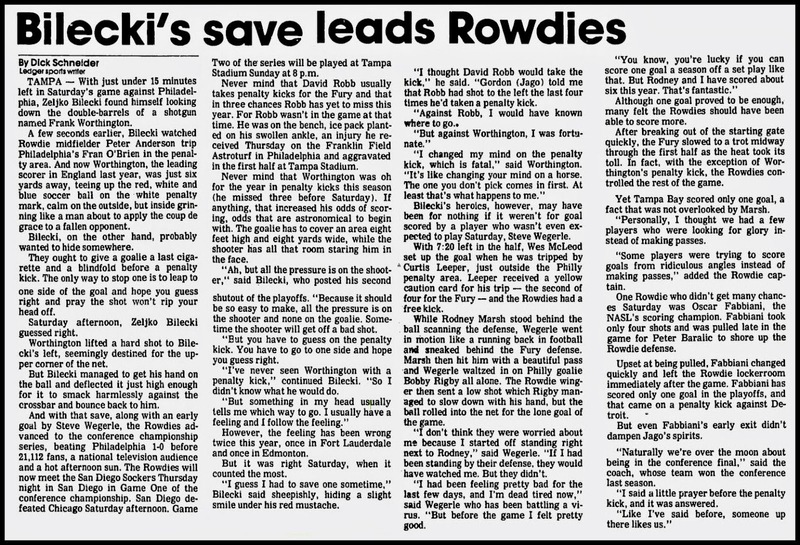 A newspaper clipping from the Rowdies Playoff game against the Detroit Express played on August 16th, 1979, at The Silverdome. 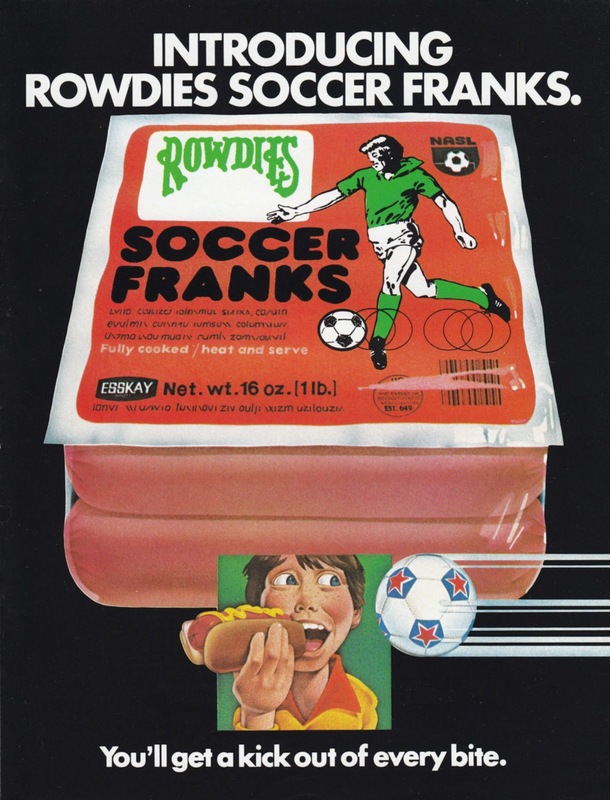 An advertisement that appeared in a 1980 KICK magazine, for Rowdies Soccer Franks by ESSKAY. 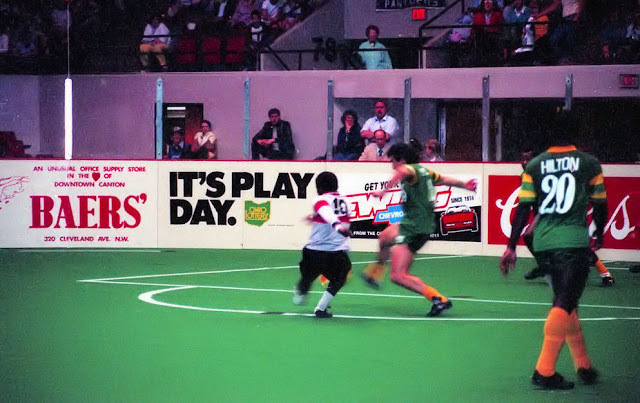 Ruben Astigarraga takes on the Canton Invaders' defenders, watched by Steve Wegerle. 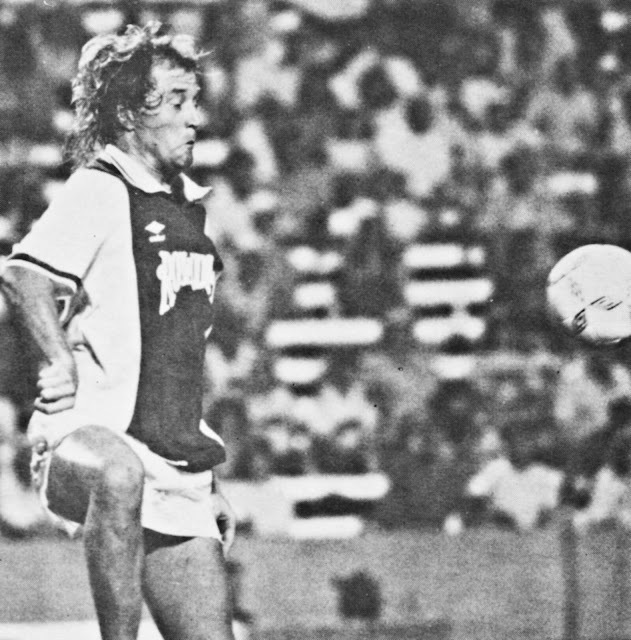 Washington Olivera on the ball, at Tampa Stadium in 1980.